There are events in any country’s history that remain fixed forever in people’s memory. The Russian victory in the Patriotic War of 1812 is one such event in the history of Russia. The hundredth anniversary of the Patriotic War of 1812 was approaching. Russia was preparing to celebrate the jubilee. Some progressive-minded intellectuals decided that a panorama about one of the events of 1812 should be built. The government supported this idea and commissioned Franz Roubaud to work on it. Panorama Borodino (as it was then called) was opened on August 29, 1912, in a wooden pavilion on Chistoprudny Boulevard in the center of Moscow. By 1918, the building was completely beyond repair. The canvas was removed, rolled up and carefully stored away. In 1962, the 150th anniversary of the Patriotic War of 1812, a new museum building was opened. The location chosen for it was not a chance one. The village of Fili, on the outskirts of Moscow, was a place where Field-Marshal Kutuzov held his historic Council of War in the peasant hut (izba). It was there that the fate of Moscow was decided. Now near the hut, an obelisk stands over the common grave of three hundred Russian soldiers who died in Moscow from wounds received during the Battle of Borodino. Not far from the museum, there stands the Triumphal Arch erected in honour of the victory over Napoleon. The statue of Mikhail Kutuzov by N.V.Tomsky was also set up near the museum in 1973. The highlight of the museum exposition is the panorama Borodino painted by an outstanding Russian artist Franz Roubaud. Canvas (115 meters in length and 15 meters in height) depicts the decisive episode of the battle between the Russian and French armies near Borodino village at 10.30 a.m. on September 7, 1812. Franz Roubaud presented the high point of the battle when "all the infantry, cavalry and artillery were fighting desperately". 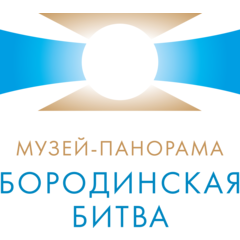 In 2012 the museum brings forward an updated museum exposition dedicated to the 200th anniversary of Russian victory in the 1812 Patriotic War. The exposition named the Honour of the Borodino Day consists of two halls. The dominating idea of the exposition is ‘man and war’. More than 400 rarities from the museum collection including battle paintings, portraits of heroes, arms, uniforms of Russian and French armies are on display. The exposition equipped with multi-media technologies shows the history of 1812 War with all its drama. The tour around the museum is accompanied with special audio-visual effect. The Heroic Feat of Raevsky's Soldiers at Saltanovka. "Kutuzov Arrived to Beat the French"
"Historical Tale of ... the Genealogy of the Lyovshin Noble Family"
"The Military Council at Fili"
Спасибо за экскурсию, воспринимается легко и интересно. Особенно впечатлила сама панорама на втором этаже. Всё очень реалистично.